New Old Stock International Harvester Speedometer Cable End Repair Kit. If your Speedo cable end has come loose, this is the kit for you. 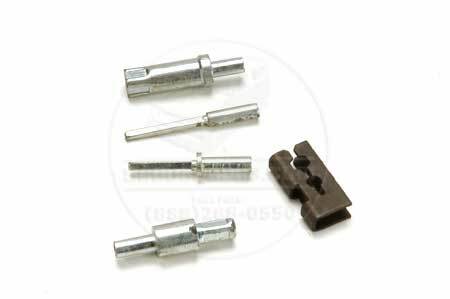 2 different sized ends, 2 different sized ferals and the tool to crimp them on to the end of your cable housing.